Leonardo DiCaprio‘s “The Revenant” fought to earn $2.3 million from 2,501 screening locations on Thursday night. With a budget of $135 million, the film tells the true story of Hugh Glass (DiCaprio), who was mauled by a bear in the 1820s and was left to die by his comrades. Although seriously injured, he fights his way across the western United States seeking revenge. The film also stars Tom Hardy, Domhnall Gleeson, Will Poulter, Kristoffer Joner and Forrest Goodluck. “Birdman” director Alejandro Gonzalez Inarritu‘s latest film opened in limited theaters on Dec. 25 to rave reviews. Currently, it holds an 81 percent approval rating from critics counted on Rotten Tomatoes. Going into the weekend, 20th Century Fox estimated that the film would make around $20-$24 million. Another film opening in theaters this weekend is Natalie Dormer‘s horror film “The Forest,” which currently holds a score of 22 percent on Rotten Tomatoes and costars Taylor Kinney and Eoin Macken. Early tracking projected an opening weekend gross in the $8-$12 million range. Its budget was $10 million. The film follows an American woman who investigates the disappearance of her twin sister into the Aokigahara Forest near Mount Fuji where people go to commit suicide. She soon finds herself amid paranormal forces. The horror film is directed by Jason Zada. DiCaprio is nominated for a Golden Globe this weekend, in the category Best Performance by an Actor in a Motion Picture – Drama for his role in “The Revenant.” He has said that the role of Hugh Glass was the “hardest film, professional thing that I’ve ever done,” eating raw bison liver and working in the extreme cold while filming. “Star Wars: The Force Awakens” remains the reigning champ at the box office. It became the top-grossing movie in U.S. box office history Wednesday, and it did so in record time. North American moviegoers have shelled out more than $764.4 million to see the seventh film in the beloved franchise launched in 1977 by George Lucas since it opened on Dec. 18. Early shows and advance ticket sales pushed Disney’s J.J. Abrams-directed space epic past the record set by “Avatar” in 2009 on Wednesday. 1991-1992: After guest starring on “Rosanne” and “Parenthood,” DiCaprio landed a role on the long-running sitcom “Growing Pains.” He played Luke Brower, a homeless student in the class of young schoolteacher Mike (Kirk Cameron) that the Seaver family take in until he is reunited with his father. 1993: In his first major movie role, Leo starred alongside Robert De Niro in “This Boy’s Life." 1993: Dicaprio brilliantly played Arnie Grape, the mentally retarded brother of Johnny Depp’s character in “What’s Eating Gilbert Grape?”. The role gave the actor his first Oscar nomination. 1995: DiCaprio took his first leading role as the wild poetic prodigy Arthur Rimbaud in “Total Eclipse." 1996: In Baz Luhrmann’s modern rendition of the classic Shakespeare play "Romeo + Juliet," DiCaprio transitioned to full-on Hollywood heartthrob opposite Claire Danes. 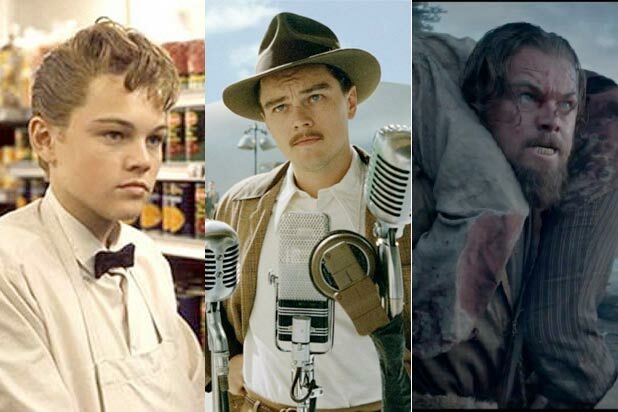 1997: DiCaprio becomes a household name came when he starred in “Titanic” as the charming, but poor, artist Jack Dawson. The movie went on to win 11 Oscars, but DiCaprio sadly did not win Best Actor. 1998: DiCaprio rocked longer tresses to embody King Louis XIV in “The Man in the Iron Mask." 2000: Leo chopped his golden locks very short for his role in "The Beach,” in which his character travels to a secret island in Thailand with a map and the hope to find a solitary beach paradise. 2002: DiCaprio donned a bit of scruff and longer hair to play Amsterdam Vallon, a man seeking revenge for his father’s murder in “Gangs of New York.” The film marked the first of his many projects with director Martin Scorsese. 2002: As young con man Frank Abagnale Jr., DiCaprio impersonates a pilot, doctor, and legal prosecutor to bank millions of dollars in Steven Spielberg's “Catch Me If You Can." 2004: In his second Oscar-nominated performance, DiCaprio portrayed the early life of legendary tycoon Howard Hughes in “The Aviator." 2006: In "The Departed," a film loosely based on famous gangster Whitey Bulger and the Irish Mob in Boston, DiCaprio played an undercover cop opposite a mole (Matt Damon) as the two try to blow each other's cover. 2006: In “Blood Diamond," DiCaprio played Rhodesian diamond smuggler Danny Archer, an antiheroic character who helped the actor earn a third Oscar nomination. 2008: DiCaprio and “Titanic” co-star Kate Winslet were reunited in “Revolutionary Road,” a suburban drama about a 1950s couple struggling with their mundane lifestyle. Though he won the Golden Globe for Best Actor in a Drama, the Academy snubbed him for even a nomination. 2010: Once again joining the cast of a Martin Scorsese film, DiCaprio starred as a U.S. Marshal investigating a psychiatric facility to discover the whereabouts of a missing murderess in “Shutter Island." 2010: DiCaprio embodied a master of corporate espionage in Christopher Nolan's "Inception." His character used dream-sharing technology to manipulate a CEO to dissolve his family’s company. 2011: In another biopic, “J. Edgar," DiCaprio took on J. Edgar Hoover, the powerhouse head of the F.B.I. for nearly 50 years, revealing the troubles of his professional and personal life. 2012: As a despicable slaveowner in Quentin Tarantino's “Django Unchained,” DiCaprio went to great lengths to embody the brutal personality of his character. He even held character when blood gushed from a cut on his hand, later requiring stitches. The take made the final cut of the film. 2013: For the most recent rendition of F. Scott Fitzgerald’s classic “The Great Gatsby,” DiCaprio re-teamed with "Romeo + Juliet" director Baz Luhrmann to play the mysterious Jay Gatsby. 2013: In his fifth movie with Martin Scorsese, "The Wolf of Wall Street," DiCaprio portrayed the outlandish rise and fall of infamous stockbroker Jordan Belfort. He earned two Oscar noms, one for Best Actor and another for producing. 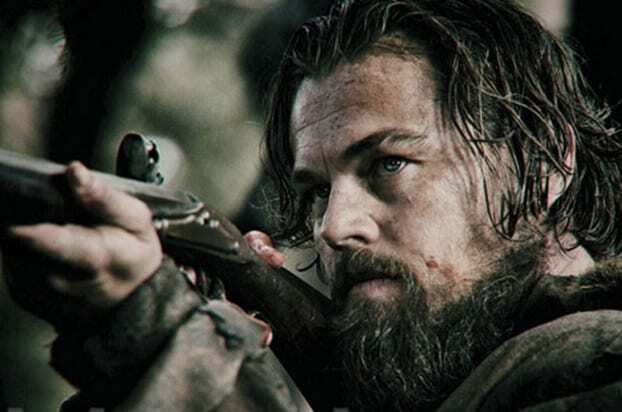 2015: DiCaprio had a wilder look with full hair and beard for “The Revenant.” as a 19th-century frontiersman named Hugh Glass who seeks revenge after his team leaves him for dead following a vicious bear attack.